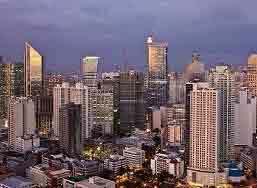 ﻿ 8 Real Estate Properties For Sale In The Philippines. 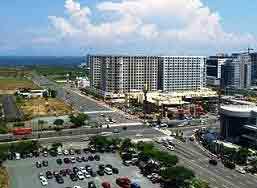 When it comes to real estate companies in the Philippines, Anchor land is one of the fastest growing and progressing that you will find. Their specialty lies in the luxury, sophistication and comfort of upmarket condomiumium developments. With a reputation for completing their projects on time, they are the reliable developer in the area. 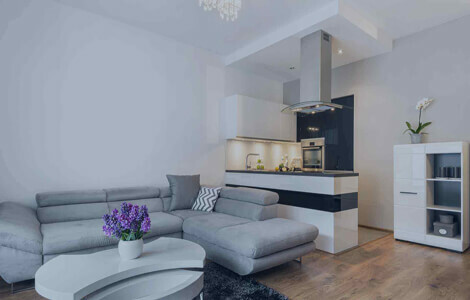 Regardless of the speed with which they complete their projects, there is never any compromise on quality or functionality of the resultant developments. While the developments are largely inspired by the upscale condominium developments present in cities all over the world, the old principles are feng-shui are not forgotten. Execution is key to any business, how you implement and complete your intended business plans will dictate your success. That is where Anchor Land stands out from the rest. They have driving ability to successfully execute all their visions and business plans with efficiency and effectiveness. Every area of their planning and implementation requires the dedication and involvement of the key people in that area. Whether you be in marketing, sales or if you are an engineer or financial advisor, each member is in constant contact and communication to ensure that the project is complete flawlessly and on time. The company is one that believes in building relationships . They act in a manner that encourages their business partners to trust them completely and a manner that instills confidence them through excellent after sales services and the provision of high-end, superior quality real estate. As a company, Anchor Land is on a mission. They want to make their mark on the industry as the company who raises the bar where standards are concerned. This is done in an attempt to provide every benefit to their cutomers and stakeholders. 100% Commitment is what this company gives, nothing less. In a bid to prove this to their customers, they provide an after sales support services that go the extra mile for you. Property management and leasing and asset management are just two of the ways that Anchor Land strives to give their customers the most value for their investment. This is the basis on which they lay their 100% commitment promises. They are proud of the culture that they display and the ability of their managment team to take a hands-on approach to any situation. They are always ready to tackle any obstacle with gusto, ready to engage and above all, satisfy their customers. Their real-time feedback mechanism is what they use to continually fine-tume and upgrade their processes to meet the demands. Design - No plan can be put into effect without a design in place. The start of it all is a design that is perfectly tailor made to match the requirements and tastes of their focus market. Development - The success of any project lies in the contractors employed to complete it. The development phase is where the company researches and inititates contractors for the project. The selection process is carried out with care and precision. Only the top contractors are put into contention. Construction - Once construction is underway this doesn’t mean that all other areas of the business step out of the picture. The engineers and designers are in constant communicaiton with the marketing business development sectors throughout. Sales & Turnover - The team at Anchor Land are fully commited to producing fully-furnished units ahead of schedule while still taking into consideration the individual needs and requirements of their customers. This has resulted in transanctions that leave nothing to chance and as they say, a happy customer is a returning one. Retentive Stage - Producing and turning over units is notwhere the line ends for Anchor Land. The after sales service is unwaivering. Through the use of various departments the customer is guaranteed assistance even after the deal is complete. Complete satisfaction is what Anchor Land strives for. Value for each and every customer’s investment. This 53 storey condominium block is pure European-inspired luxury at is finest. Whether you are young or old, a professional or a student, this is the place for you to call home. The luxury amenities and exquisite architecture and decor will far outdo anything your imagination can conjure up. One and two-bedroomed units are on offer, all providing a spacious comfort that cannot be beaten. The unobstructed view of Manila Bay at sunrise or dusk is awe-inspiring, the perfect way to start and end your day. A rural setting, nestled in the heart of the City.A learning-driven residential development where living green and breathing fresh air is an every day occurence. Gated and exclusive. 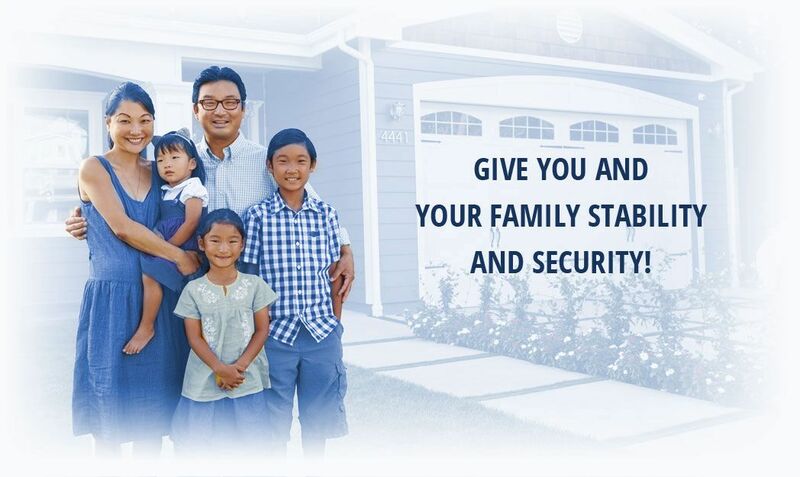 This townhouse condominium residential development is focused on your safety. The abundance of lanscaped areas providing a link to nature is a benefit that cannot be overlooked. Your piece of green heaven amidst the concrete jungle. These days amenities are a necessity and Clairemont Hills certainly does not lack in that department. With indoor features that offer grandeur there is no faulting this luxury establishment. A grand lobby, function room, fitness center, games room including billiards,chess and darts, 25m lap pool, children’s pool and a sun deck. There isn’t much you could want for. Outdoor facilities and activities abound and even amidst the brick and mortar, there is place to take in the air. Children’s play facility, a jogging path or bicycle lane, an outdoor sitting area for relaxation and gathering your thoughts after a busy day in the hustle and bustle, and landscaped garden provide aesthetic beauty where you would least expect it. The pick up and drop off point provide a safe point of access for all and safety is after all a high priority. This is the perfect residential location for all, whether you are a singleton still studying towards your career of choice or a family that is still growing. This is the tallest building in Manila Chinatown or any other Chinatown across the globe. Boasting 56 storeys, this condominium residence houses 346 units. If top of the range amenities are what you seek, there is no other place to look. The grand amenities on offer here cover an area of 5000 square meters. You will have access to a full badminton court, a basetball half-court, a table tennis room, dance studio, a lap pool and a children’s pool, a mini-theater, cafe, bar, karaoke room and so much more. The biomorphic form of the building blends in completely with the architecture present in Chinatown and allows for generous absorption of sun and air into the environment within the building. This reduces energy-consumption considerably. Safety of the residents is paramount to Anchor Land and they have taken stringent measures to ensure that you are safe while living in this development. Anchor Skysuites has been evaluated and deemed to have a high earthquake resistance which protects the investment of the residents and the residents themselves from harm should this natural disaster strike. Specially imported waterproof paint from the UK,and aluminum windows developed by the German company Lemmens ensure the highest levels of wind and water proofing. If you are seeking a residential development that offer you a classy, stylish, upscale, reliable home, one where your investment will continue to grow, this is the place to be. This is 17 storey luxury residential development which spans a property 18000 square meters vast. It is situated a stonesthrow from the Bay City entertainment and tourism hub. The largest development propety by Anchor Land to date. The ameninites provided are worthy of royalty. Gourmet dining, olympic size swimming pools and a movie theater are some of the fine amenities you can call your own. Exquisite architectural desing is modelled on old castles in Europe. Breathtaking views and awe-inspiring surroundings make this a place of magical beauty that only viewing it can make you realize. Wide open areas, tumbling lawns, fountains and landscaped gardens amidst the towers dotted throughout the area. True royalty. 39 Storeys of residential development in the heart of Manila’s Chinatown. The residential development is a short walk from the major establishments in the area, hospitals, markets, malls and churches. Many presitgious schools lie within reach of this development. The limited number of the available units lends to the exclusivity of this development. The spacious living areas are uncommon in the area and well-worth their weight in gold. Amenities on offer for all residents add to the appeal of this development, as if it needs any more. A 38 m lap pool as well as a children’s pool provide the perfect opportunity to enjoy the weekends with your family in style. A gym is on hand for the fitness conscious, fully-equipped and kitted out with everything that you could ever imagine. The games room is the place to carry out all your family table tennis tournaments or perhaps a spot of billiards. Events are what our lavishly decorated function rooms are made for. Everything you need is right on your doorstep. 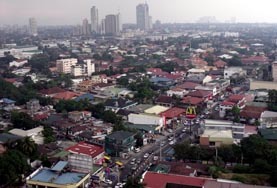 The location of this grand residential development is an historicaL lot along Masangkay Street. This is the place that once held the home of Jose Rizal, a national hero. It is also the place where the original Noli Me Tangere script was kept. This future project is one that is awaited in anticipation. This will be the true signature residential lifestyle for all Filipino people, incorporating all the components to support such a lifestyle. This is the place you want your life as a family to begin and the place your future generations will take pride in. 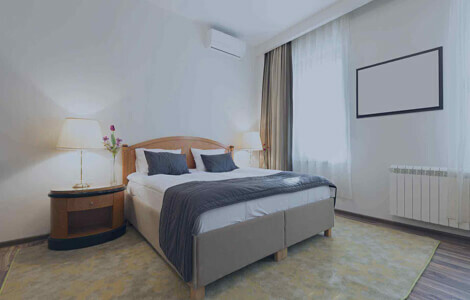 A classic combination of the historical value of the original Admiral hotel and the modern luxuries of the Admiral Baysuites is what is going to put this residential development on the map. This will be a new landmark. Taking residential developments to newer, grander heights. At 43 storeys high, this building is set to benefit from the iconic views of the city and leave its residents in awe of the Manila Bay sunsets. This conceptual design will make all your residential dreams a reality. Luxury and service will abound. If you see what Anchor land has had to offer over the years and what they have in their arsenal going forward, it is not very difficult to perceive why this is the leading residential development company in the Philippines. They understand the Filipino way, the love for family and the commitment to providing the best for that family and they develop their residential condominiums to cater for that entirely. Location, amenities and security are never overlooked. Anchor Land keeps you in tune with the concrete jungle, close enough to hear the buzz if you listen very carefully, but they give you a place to withdraw to each night where solitude and luxury are plentiful. At Anchor Land you can be assured that after sevice is guaranteed. This company doesn’t leave you in the lurch once you have signed on the dotted line. This company strives to take residential living to a new level with each new development. The continued dedication to improving lifestyles is the basis around which many of the projects are built. The company firmly believes that growth can only come from strong values. This is evident in the way they complete any business transaction. Anchor Land is steadfast in their word, this is their bond, they don’t take promises lightly. Anchor Land is the company that will find the perfect home for you.